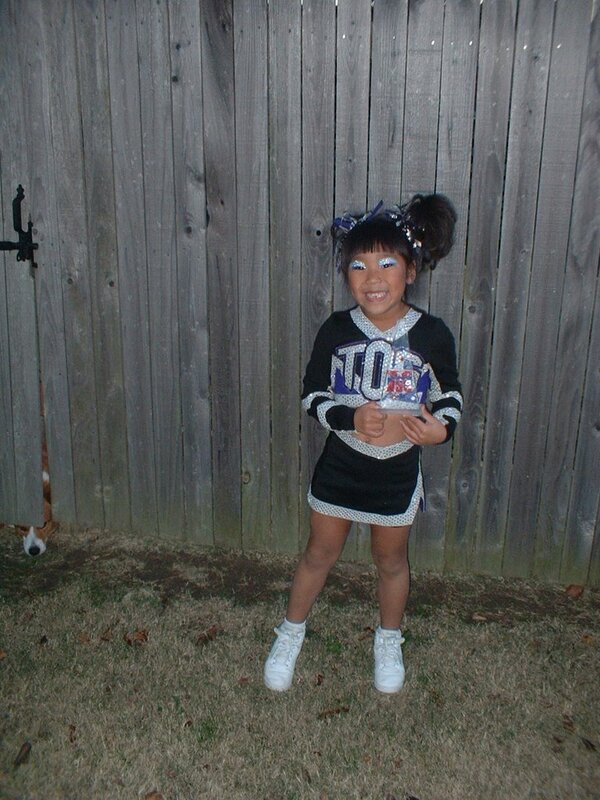 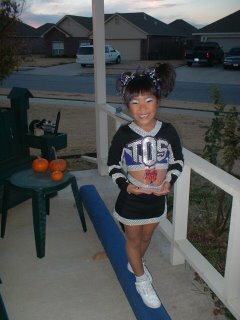 November 18th Kenzie's cheer squad won first place at regionals here in Tulsa and they qualified for Nationals in St Louis in 2007! 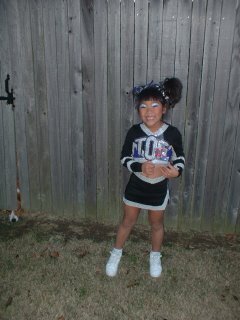 She was so exctied and I will have pics of the competition soon! She's holding her trophy but it's clear so it's hard to see in the picture.